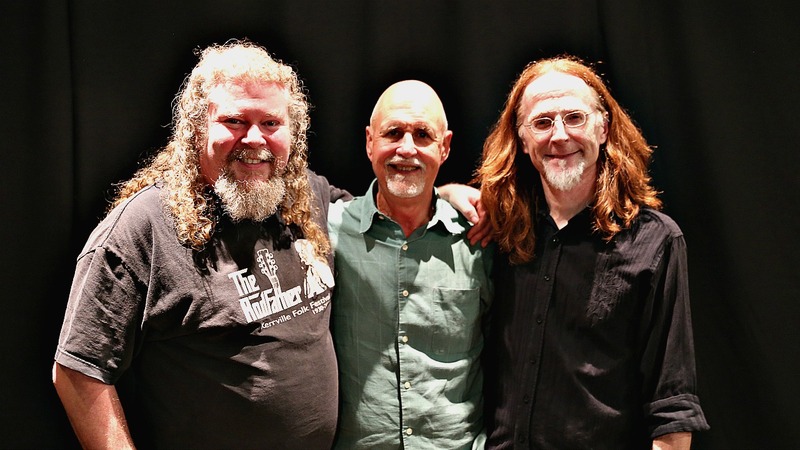 For seven years independent singer-songwriters Joe Jencks and Pat Wictor have pooled their talents with Greg Greenway's to form a beloved harmony trio, Brother Sun. Worn down by the touring grind, the three friends are letting Brother Sun set this fall, so they can resume their solo careers. Jencks and Wictor have both just released solo albums—Poets, Philosophers, Workers & Wanderers from Joe and This Is Absolutely Real: Visions and Versions of Phil Ochs from Pat. They stopped by WFUV to play some songs together and talk about their albums, their heroes, and the role of music in turbulent times.